I am not sure if this question is within the guidelines (it may be), but I am curious as to this: In North America, for instance, it is often said it was heavily forested and that a squirrel could get from one side unto the other without touching the ground. 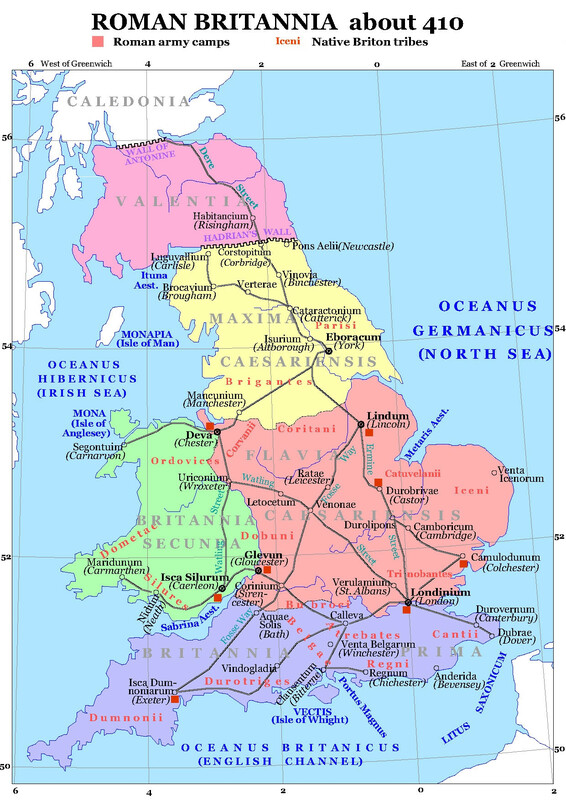 The Angles, along with the Saxons and the Jutes, probably started arriving in Britain around the middle of the 5th century, some 50 years after Rome abandoned its northern-most province. 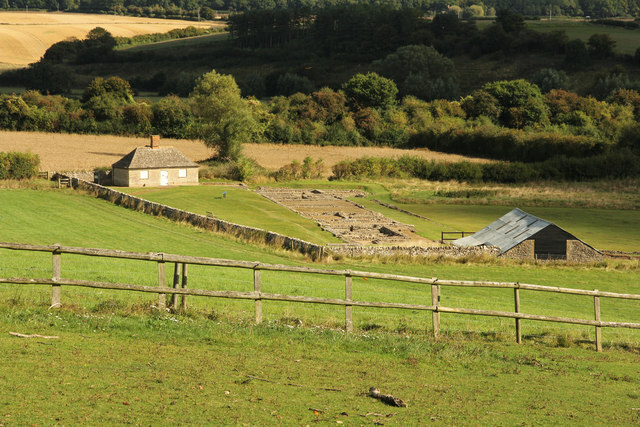 They would have mostly seen a landscape with many features of the late Roman period (described below) in a state of decay, alongside Celtic Iron Age dwellings. By the time the Romans arrived in Britain, much of England was already deforested though there were significant regional differences (this link is a download), ranging from around 15% forested area in central England and East Anglia to around 40% in upland northern England (largely modern-day Cumbria). 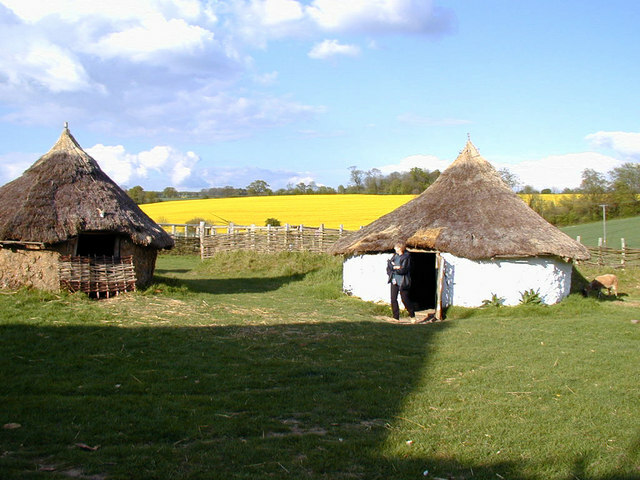 Farming was both arable and pastoral with most people living in Iron Age-style roundhouses, which were made of timber and thatch, dotted across the landscape of much of England. The landscape the Romans found was one of cultivated fields and pastures, scattered farmsteads and settlements, and surviving islands of managed woodland. The Romans eventually criss-crossed this landscape with roads, beside which many villages and towns developed. These often had rectangular houses and shops fronting onto the road. Towns and villas were falling into ruin within a generation [of the Roman departure]. It can be argued that the Anglo-Saxons, who arrived in numbers some decades later, came into a political and cultural vacuum – although many of the people were apparently still there, farming the landscape, albeit probably in smaller numbers. With the disappearance of the Roman system the population of Britain would have reverted totally to a subsistence agriculture mode. We may thus expect for the area that is now England to find a settlement pattern made up of farmsteads for nucleated or extended families practising agricultural strategies designed to yield little in the way of surplus above that necessary to perpetuate the crops and herds. One important survival was the road network, which formed the skeleton of communications in Britain until the 18th century. the taking-over by the Anglo-Saxons of a Romano-British site or social feature and its adaptation the better to respond to Anglo-Saxon priorities. Not the answer you're looking for? Browse other questions tagged middle-ages britain geography or ask your own question.